Ever since I’ve started working, I had trouble sleeping. I got used to sleeping late at night & waking up around 10 or 11 am. So it was very difficult getting myself to sleep early. I kept on staying late at night til 2am & waking up around 6am. Even when I come back home around 1:30 pm exhausted, I don’t get my afternoon nap because I wanna sleep early. It didn’t work at all. 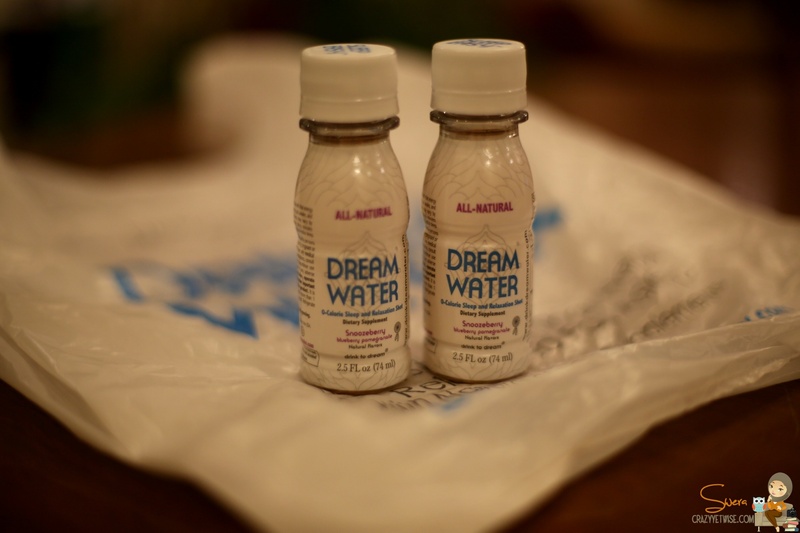 I received an email from the distributors of Dream Water in Kuwait to try the product. 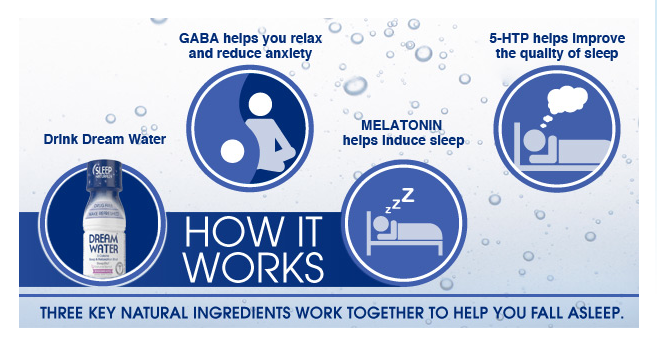 I so wanted to try it because my body started to get very tired from the lack of sleep. I received 2 bottles the very next day & I tried it immediately. I drank the first bottle around 9pm which was very wrong. I took it very early & Juju wasn’t even in the mood to sleep. So around 9;45pm I started feeling very sleepy & wanted to sleep very badly but Juju wouldn’t go to bed & when I forced her to sleep she started crying very loud & I became very agitated. I couldn’t open my eyes & she kept on crying. I finally was able to put my head on my pillow around 12am & couldn’t remember when I snoozed. I took the 2nd bottle the next day around 10pm but I had the same dilemma, Juju wouldn’t sleep early & she kept on crying. around 10:45 I became very sleepy & at 11:15pm I was able to sleep peacefully. 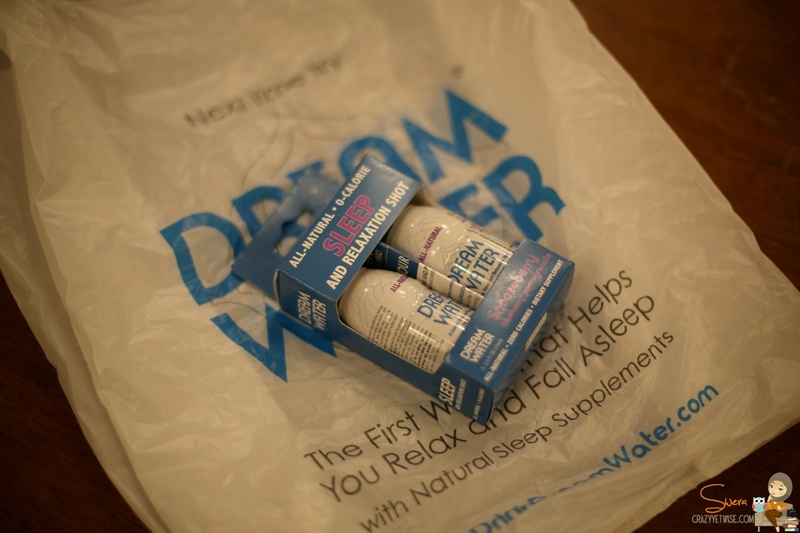 My review about Dream Water: It helped me sleep better & peacefully not like before turning from side to side trying to sleep. Yesterday, I slept around 11:30pm without drinking it & woke up 7:30am (in the weekend 😛 ). I’m gonna try to sleep this weekend without drinking the water & hopefully my sleep will be organized. 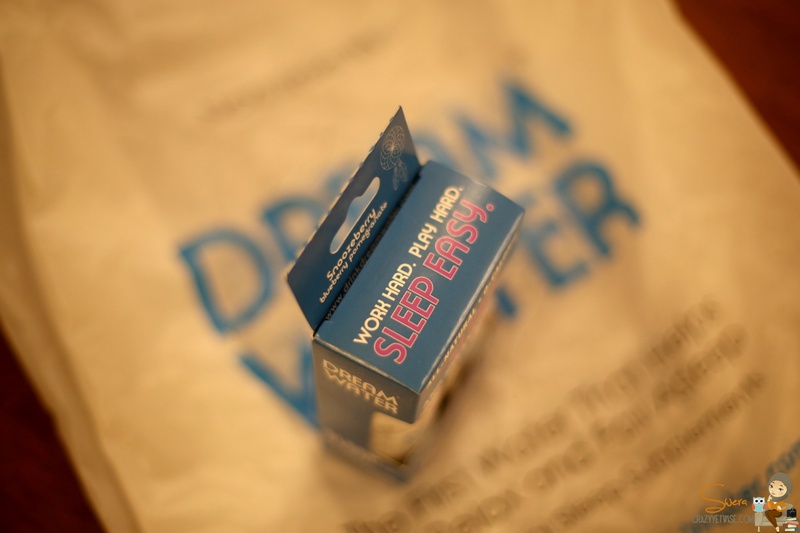 If you’re having trouble sleeping, try drinking Dream Water & see if it can help you. Dream Water is available at AlKindy Pharmacy & it’s authorized & approved from the Ministry of Health.